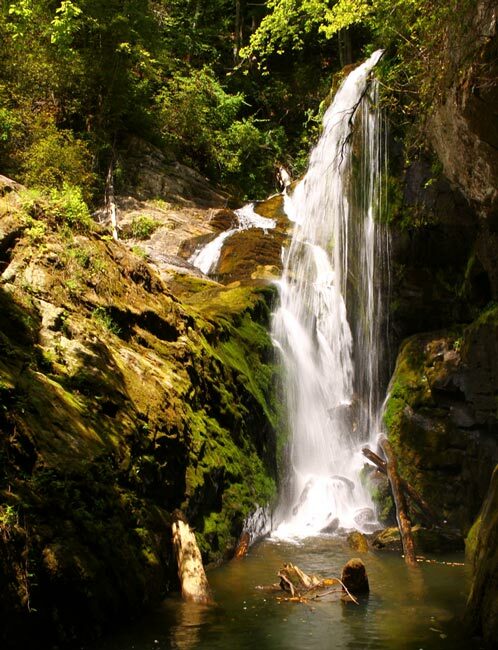 There are two ways to reach the Laurel Fork Falls. The most popular (and easiest) way is to travel by boat on beautiful Lake Jocasee. However, if you are feeling adventurous, there is an 8-mile hike – one way! – that will take you to the waterfall, which has three sections. 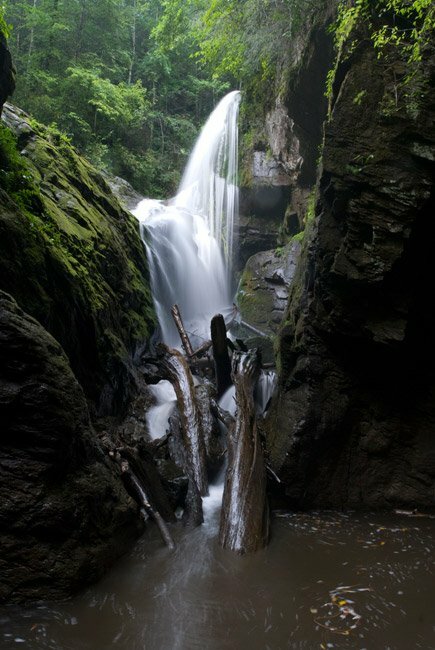 Laurel Fork, like many of our state’s waterfalls, is best seen after it has rained for a few days. 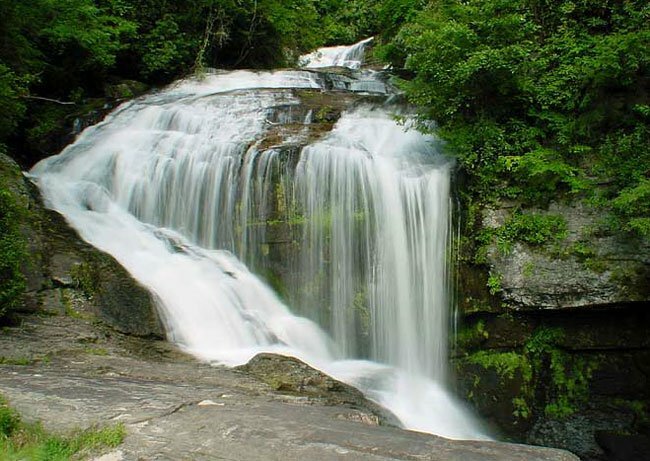 The falls drop 80 feet and spill into Lake Jocassee, providing visitors a spectacular view. Lake Jocassee (pronounced “Joe-kass-ee”) is managed by Duke Energy and provides electricity to many residents in the Upstate. The lake is located in Oconee County and Pickens County, and there are some primitive camping areas around the falls available for public use.